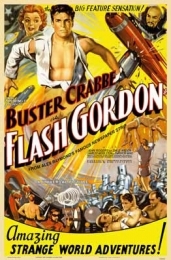 1980 version stars Melody Anderson, Max Von Sydow and Sam J. Jones as Flash. Little” books, television series, comic book series, and a magazine. Shower of Stars (1954) and Westinghouse Desilu Playhouse (1958). of Film and Television Arts (BAFTA) award for both art direction and costume design. Muto. Working with them are the American Cinematheque’s Gwen Deglise and Chris D.